Jeremy Baugh was in history class at Ridgeland High School one January day in 2010 when the classroom phone rang. The front office was calling him, his teacher said. He was supposed to take his stuff. He grabbed his backpack and left. Baugh, heavy-set with a bright, friendly face, was popular. He was on the basketball team, in the choir and had been voted Class Favorite at this school in a bustling suburb of Jackson. “I looked at my high school like my family,” Baugh said in February. So Baugh ambled confidently down the staircase and along the hall to the rotunda, which was busy—it was around lunchtime. He didn’t know he was trespassing. When he got to the front office, Jeremy saw his mother flanked by two school police officers and the principal. Mike Kent, Madison County School District’s superintendent at the time, walked in the door and said that Jeremy’s mother, Aurora Baugh, had falsely signed papers saying she was a resident of Ridgeland, Jeremy said. The police handcuffed her and led her outside to the police car. One officer protested, asking the superintendent if the whole spectacle was necessary, Jeremy said. The officer said that his mother was cooperating. Baugh watched, dumbstruck, as they led his mother away. Then, an office secretary broke the silence. “She told me I had to vacate the premises in the next 30 minutes to an hour,” Baugh said. Later, Baugh says, his mother told him they had called her to let her know they would arrest her, but that if she didn’t come to the school to meet them, they would arrest her son, too, for trespassing at Ridgeland High School, because he wasn’t legally enrolled. Baugh says his mom had considered sending him to Chastain Middle School in Jackson Public Schools, their home district. At the time, Chastain was a “successful” school, a Level 3 out of 5 on its state report card for the 2006-2007 school year. She changed her mind after hearing rumors of violence at the school. She would have loved to relocate the family to Ridgeland, a suburb of Jackson, where the schools were consistently rated Level 5, “superior schools.” The Baugh family lived almost flush against the Jackson side of County Line Road that separated the city from Ridgeland, a relatively diverse and more working-class corner of wealthier Madison County. But she couldn’t afford it. Baugh’s story is not unique. Many parents in urban areas, met with the spatial and academic barrier of their zip codes, have no choice but to send their children to the public school available to them within their school districts, regardless of its performance. But an increasing number of parents are finding a way out. Private schools have long been one option for parents with enough means, while 2.57 million kids nationally attended charter schools (free public schools run by private operators) in 2014, up from 1.29 million in 2008. Nationally, crossing district lines is a rising trend, too. More and more black and Hispanic families are moving to inner-ring and even outer-ring suburbs, once bastions of the white and wealthy. States like New Jersey have even made it easier for families to send their children to better schools in other districts without having to move. In Mississippi, where the first two charter schools only opened last year, district line-jumping is common, parents and district officials say. It’s also usually illegal. The Hechinger Report previously reported that wealthy districts across the country have increasingly cracked down in recent years, and Mississippi is no different. In Baugh’s case, charters didn’t exist in Mississippi yet, and private school was too expensive for his family. So his mother was one of the many parents who broke the law to send him to school in a district where he did not reside. Mississippi currently operates under a “voluntary interdistrict” model for enrollment across district lines, meaning that students may transfer to schools in districts in which they don’t live at the discretion of the school boards of the districts involved. It would have been easier for Jeremy if the schools available to him within his original district had been at least 30 miles away, or Jeremy’s mother had been a Madison County School District employee; in those situations, his enrollment at Ridgeland schools would have been legally protected. Otherwise, both state law and municipal ordinances impede interdistrict enrollment. Current Madison County School District Superintendent Ronnie McGehee, who was not there when Jeremy’s mother was arrested, says the Madison County School District does allow special affidavits for parents and students in certain situations—like staying with a relative while they’re between homes, for instance. McGehee says these affidavits are thoroughly verified, but the district is generous with them and has granted “thousands.” Still, affidavits are only granted to those students who are under the roof of a family member or other adult guardian who lives within the district. I went to Ridgeland public schools. Jeremy and I were in the same grade, but before his mom got in trouble, I didn’t know that he lived in Jackson. Many black students knew someone who lived out of district, and most of us still had family ties to the city. But we were all Titans: band members, cheerleaders, athletes, eggheads. We made friends. We were kids trying to learn, like everyone else. Whether or not they attended legally, however, the rising number of black and non-white Latino families in Madison County and in the public schools was fueling a resistance. The very public arrest of Jeremy Baugh’s mother was only one way the old guard was fighting against the rapid integration of the suburbs. The other was an attempt to extract the newcomers altogether. Lying, leasing property or helping anyone do those things for the purpose of school enrollment could draw a fine of up to $1,000, up to 90 days in jail, or both. Baugh says his mother spent almost a week in jail. She had to pay a $5,500 fine for forging the signature of an individual she claimed was her landlord in Ridgeland. When asked what spurred the development of that ordinance, Ridgeland Mayor Gene McGee said in a phone interview with the Jackson Free Press that it was the best move for Ridgeland at the time. “The citizens and business owners felt that the residency ordinance would best serve the interests of the city,” he said. The increased penalties for illegal school enrollment came against a backdrop of other moves in the city that some believe are about targeting and removing the rising number of black and Hispanic students. In 2015, some Ridgeland residents filed a complaint against the city with the U.S. Department of Housing and Urban Development, accusing it of violating the Federal Fair Housing Law by rezoning portions of the city that housed primarily black and Hispanic residents. The complaint alleges that McGee “implemented an aggressive code enforcement regime” in 2010 to condemn apartments largely inhabited by black and Latino residents; the complaint also says that during this time, city officials attempted to redevelop and rezone southeast Ridgeland to remove apartments and housing mostly occupied by minorities. This year, Ridgeland residents Tiaquonta Fuller, Shedrick Day and Shamel Smalls, all residents of a southeast Ridgeland apartment complex, filed a lawsuit against the City of Ridgeland with similar complaints. The lawsuit relied heavily on comments made during city community-awareness committee meetings and the mayor’s emails about a perceived relationship between Ridgeland’s apartment complexes and declining student achievement at the public schools and lowered property values. Mayor McGee was not available for comment on the lawsuit by press time. Many of the complaints sent to McGee and quoted in the lawsuit spoke about the changing perception of the schools, although achievement hadn’t lagged even as the demographics changed. “The fact that Ann Smith is Title 1 is embarrassing,” one Ridgeland citizen wrote in a 2009 e-mail to McGee. Ann Smith is Ridgeland’s lower elementary school. Other emails quoted in the complaint contain similar sentiments. Kent declined comment for this story. A senior planner of a community development group told Alan Hart, director of Community Development for the City of Ridgeland, in 2007 that “County Line Road would serve as a strong buffer, like the Natchez Trace does” and that “the perception of property above the Trace is that it is protected from Jackson’s rot,” according to the Feb. 12 complaint. On March 14, 2016, the U.S. District Court, where the lawsuit is filed, granted the City of Ridgeland an extension of time to answer the complaint until April 4. That day, the City requested an additional four days until Friday, April 8, for its response to the lawsuit, citing a death in the family. 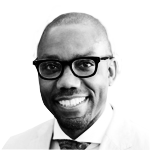 Author and University of Mississippi sociology professor Dr. James Thomas says that Ridgeland’s fight against the encroachment of black and Hispanic families is just the latest chapter in the state’s conflicts over race. “The whole formation of suburbs can be thought of as a form of dealing with racial anxiety,” he said in an interview. Lee Boozer, former principal of Ridgeland High School, also appears in the Fuller, lawsuit against Ridgeland, for comments he made at a community meeting. “…What is going down is the image. The schools are scoring high. The image of the demographics is what needs to be battled,” he said. “It’s what people say when they want to say ‘ghetto,’ except, you know, alliterative,” I said. It was also the nickname for Ridgeland that students got from kids at Madison Central. “I don’t know why or where that came from,” he told me. “I have said that the perception from the real-estate market, real-estate agents, have not always been what I thought it needed to be in Ridgeland because from the beginning, for some reason, we were kind of under the—I don’t know how to word it—but there seemed to be an image problem from the get-go,” he told me. 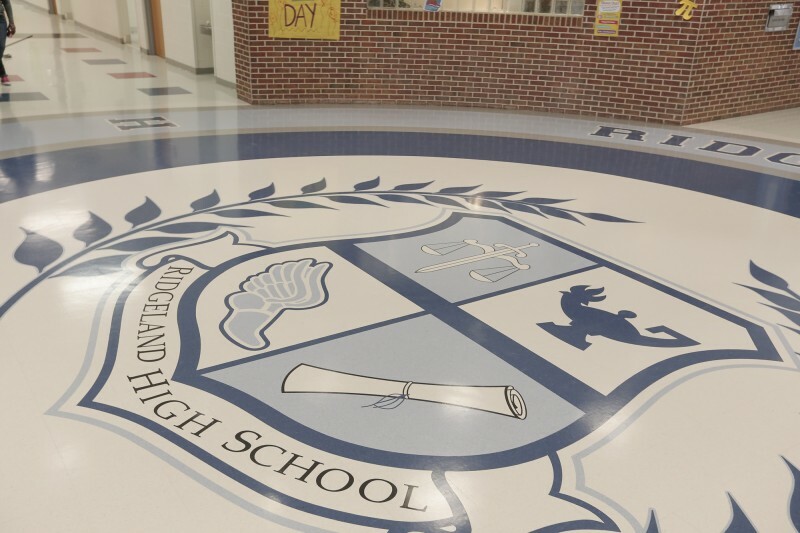 Ridgeland High School, which serves students in 9th through 12th grades, opened in 2002, relieving Rosa Scott High School and Madison Central High School of its population of Ridgeland residents. Boozer was its first principal, until he retired four years ago. A strident Crimson Tide fan amid the Mississippi State-University of Mississippi-Southern Miss triumvirate that claimed the loyalty of most of the faculty, Mr. Boozer was very nice—the type of Alabama fan who’d just listen to Paul Finebaum instead of feel the need to call in to his show. Mr. Boozer was principal during Jeremy’s—and my—11th-grade year at Ridgeland High School. 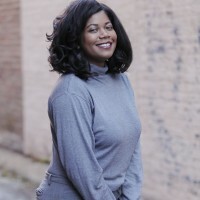 I never noticed a growing number of black and Hispanic kids around me in high school, when I was jammed into an accelerated and AP class cohort that consisted mostly of white girls with whom I had shared Accelerated Reader point competitiveness and gifted class teachers throughout elementary and middle school. Baugh says the day his mom got arrested, Boozer tried to help him understand. “I always tried to be up front and honest,” Boozer said. “I tried to tell him the circumstances and the situation as what it was. Because Mrs. Baugh was up there quite often, and she had told us one thing, and on a number of occasions, and we found out that those stories that she told us were not accurate. I tried to explain that to Jeremy. Mr. Boozer, who is white, said it was pretty easy to tell that there was a residency discrepancy happening, and that parents within the community would basically snitch on each other. “They would pull in behind people with Hinds County tags, or their child would come home and mention something to them or in some situations, a student would get mad at another student and turn them in. So there were multiple ways that we found out,” Boozer said. Baugh said his principal told him they wanted to make an example out of someone. “In so many words, he was telling me I was the example,” Baugh said. Boozer says that after the incident, the school saw families suddenly withdrawing their students. But Boozer says he never felt as if Ridgeland’s racial diversity was a bad thing at all. 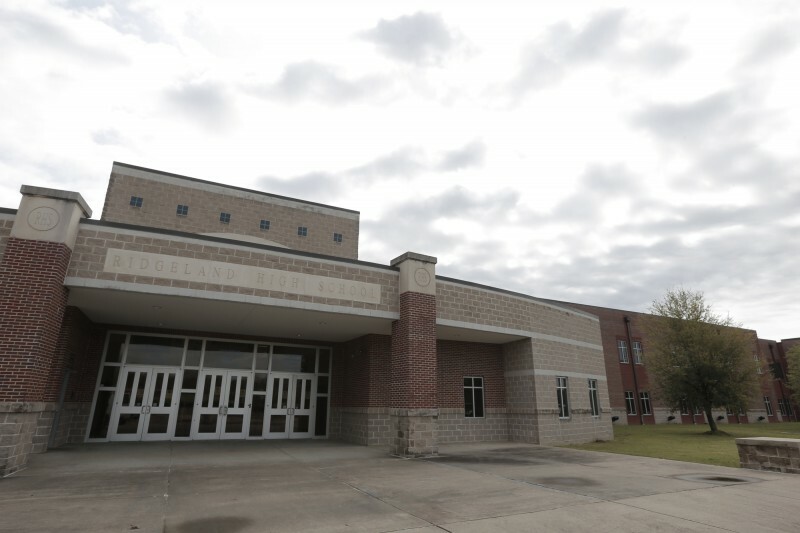 Current principal Eric Brooks, who is black, suggests that this outside perception of Ridgeland and its students’ academic achievement persists to this day. “Right now, RHS is a B school,” Brooks told the Jackson Free Press. Brooks also says that as far as test scores go, Ridgeland High School performs about as well as it always has. “With these new assessments, we haven’t dipped any further than other schools. Across the board, if we’ve dipped, other people have dipped, too,” he said. Baugh believes race is the reason his card was pulled. “That’s all I thought, when I got kicked out of school, I thought to myself—they’re trying to erase black people out of Ridgeland,” he said. So he transferred to Callaway, the high school for students who lived in his district in Jackson. Re-adjusting was hard, he said, because he had missed the entire month of January while he dealt with the arrest of his mother, who spent a week in jail, and searching for a new school. At Callaway, Jeremy said, it felt like teachers spent more time worried about fights than helping them learn. During his junior year, Jeremy applied to a variety of private schools in the area. He was accepted at and graduated from the private Veritas School, but after his first application had been rejected. 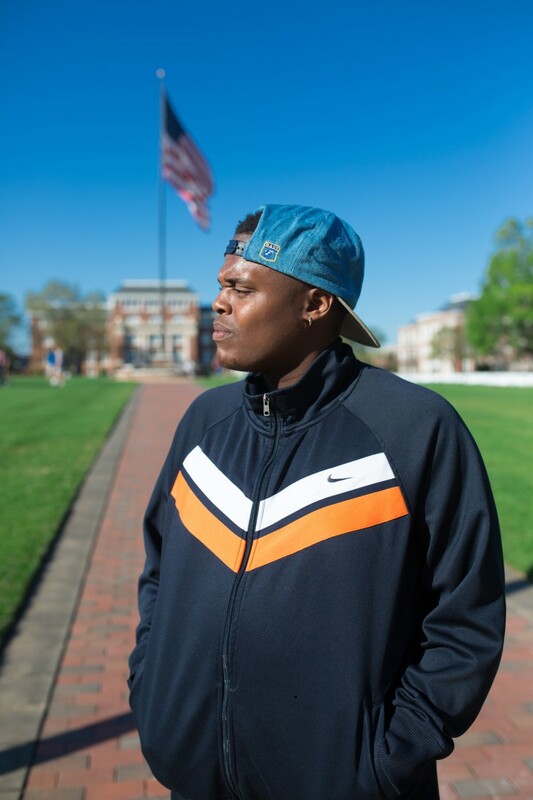 “But when they found out I had played basketball, the coach told me they would only award me a scholarship if I went there and played every single sport,” Jeremy said. Representatives of the former Veritas School, which closed in 2015, could not be reached for comment. When I called Aurora Baugh on the phone to ask her about the arrest, she told me she didn’t want to relive the past. Her son remembers the way it humiliated his mother, how the news media back then followed her to her job, pestering her for comments. Baugh, who now attends Mississippi State University, talks about the emotional impact the event had on his mother more than the effect on him. “Even now, she really doesn’t go to Ridgeland like that at all. She doesn’t drive out that way,” he said. “She went to jail, she did that. It didn’t faze her any. She paid the $5,000 fine off.